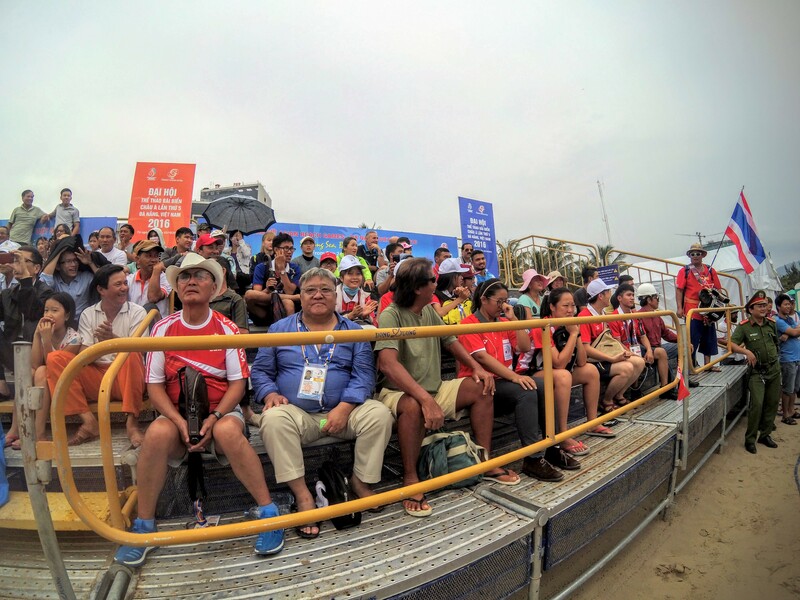 The 5th Asian Beach Games was held in Da Nang, Vietnam, from the 24th September 2016 to 3rd October 2016, where a total of 22 sports, including beach wrestling, was played. 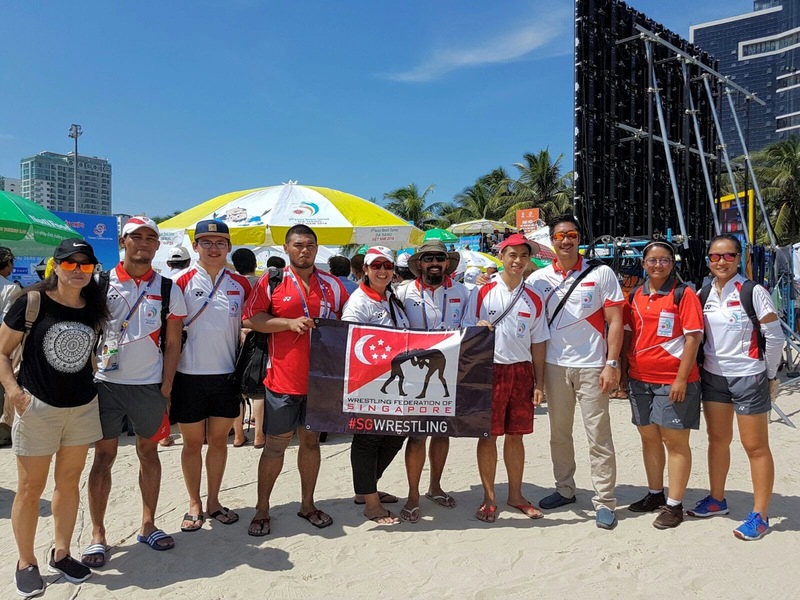 Team Singapore was represented by athletes from, Beach Wrestling, Muay Thai, Pencak Silat, Coastal Rowing and Beach Petanque, with Beach Wrestling being one of the last and final events held during the games; from the 28th September 2016 to 3rd October 2016. 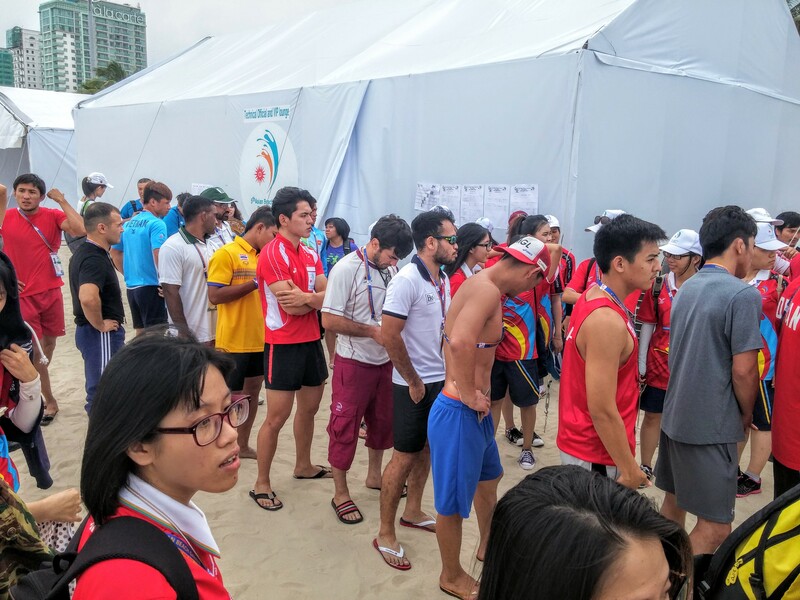 Our team managers, Asyraf Salim and Diana Dawood, arrived in Da Nang on the 28th September, a day earlier than our competing wrestlers, to attend the technical meeting for beach wrestling which will be held on the morning of 29th September. We met up with Ms Goh Wan Xiu, who is our Secretariat for the Singapore's contingent, at Da Nang's airport whom helped us settle in our allocated hotel (Cicilia hotel and spa). 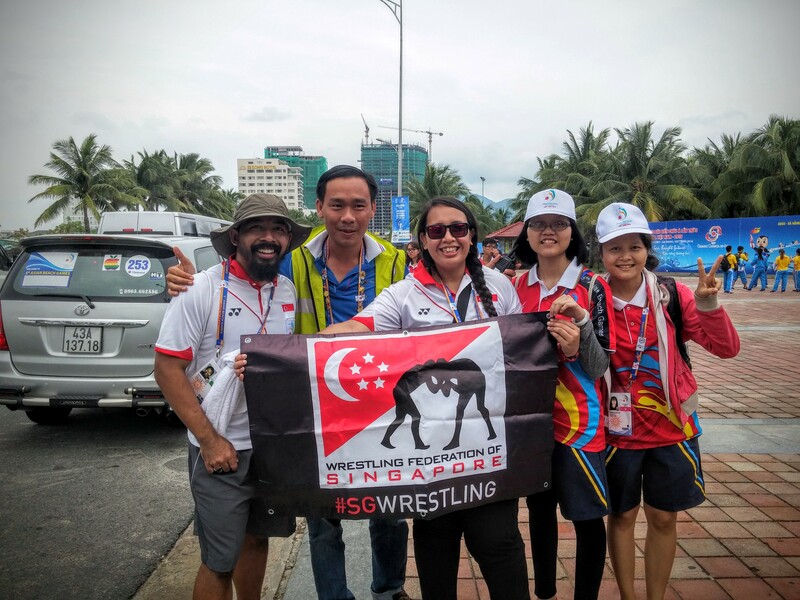 We were then introduced to our two liaison officers, Amanda and Vi at the hotel, whom were attached to our wrestling team for the entire duration of the games. 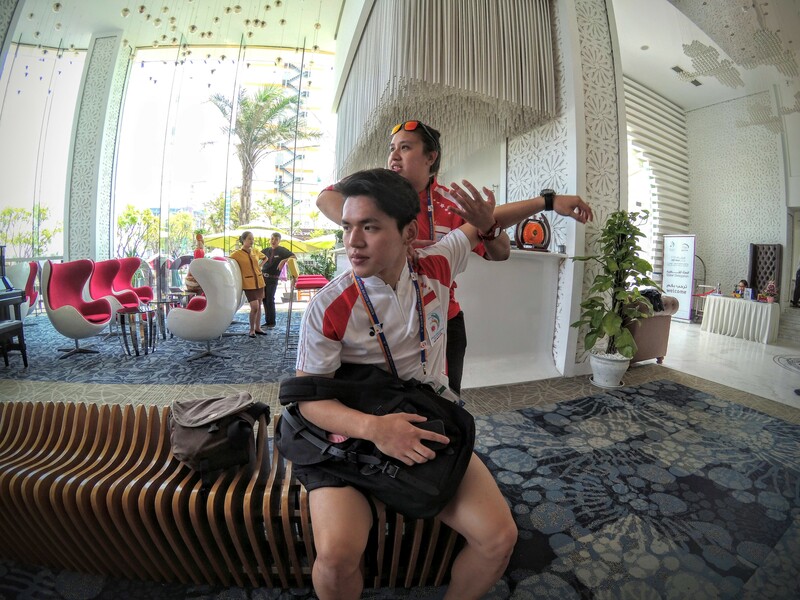 They would help the team with administrative duties and They briefed us on the daily shuttle bus timings from our hotel to the event venue and reminded us on the upcoming events that we would have to attend. 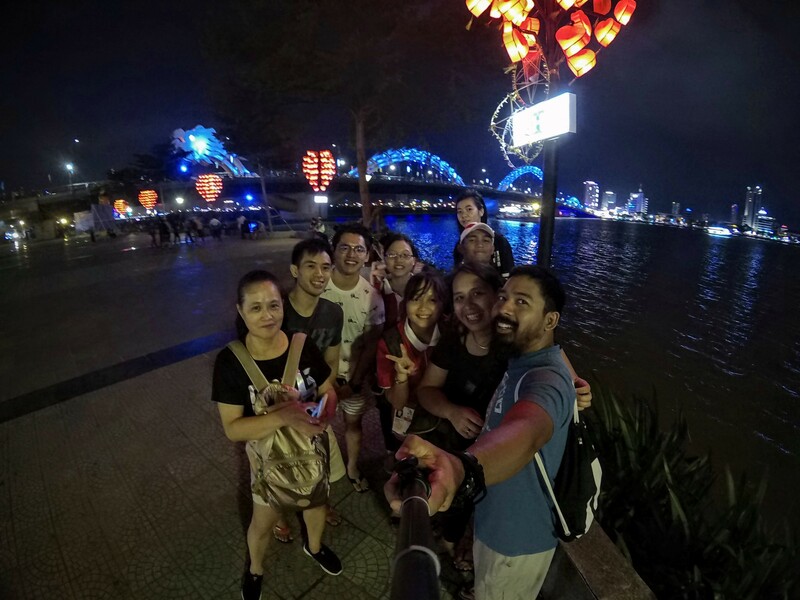 Toh Xin Ran arrived in Da Nang just before midnight as his flight from Seoul, Korea was delayed. We awaited for him to arrive at the hotel's lobby and settled him in. Day 2. 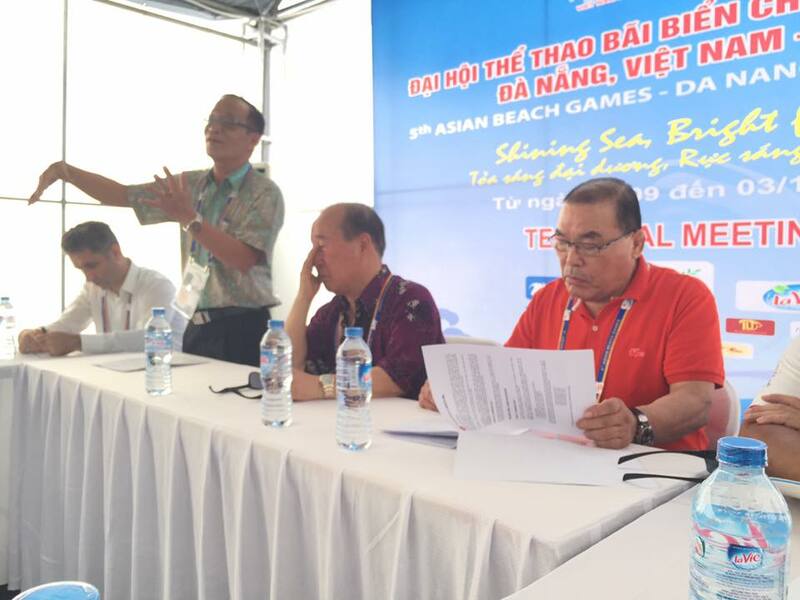 We attended the officials technical meeting for beach wrestling on the morning of 29th. 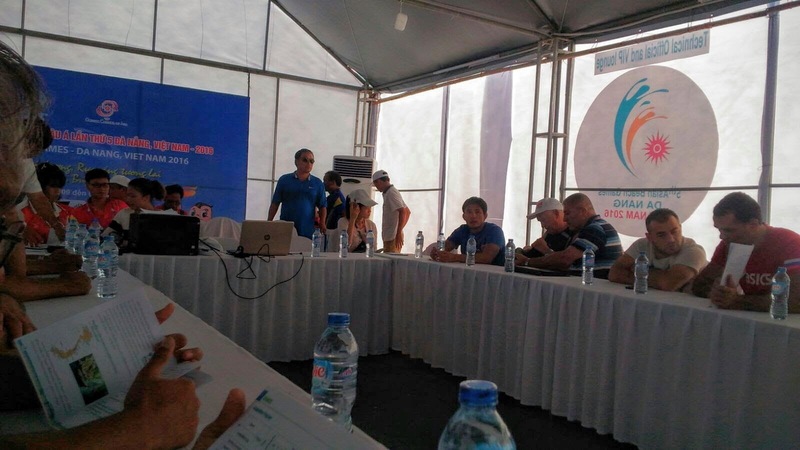 We were briefed on the locations of the medical checkup and weigh-ins during the weigh-ins day, tournament system, rules, scoring/points system and admin matters. Towards the later part of the afternoon we headed to the beach with Xin for a quick workout and light sparring. We managed to get our workout done under an empty tentage as it was a bright and sunny afternoon and we didn't want to tire Xin out before match day. 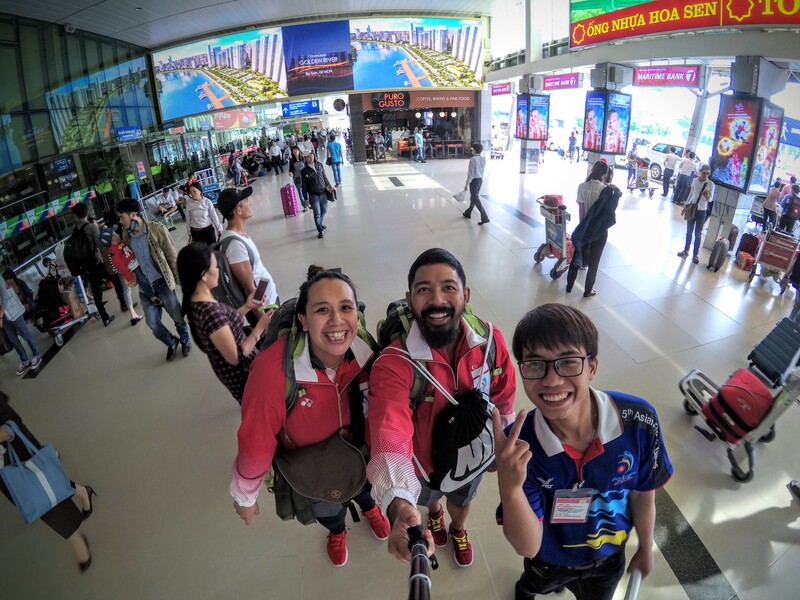 Eddy and Hidayat arrived in Da Nang in the late afternoon. We had a light team dinner over at the hotel's restaurant and we gave them a brief gist about the technical meeting we'd attended. 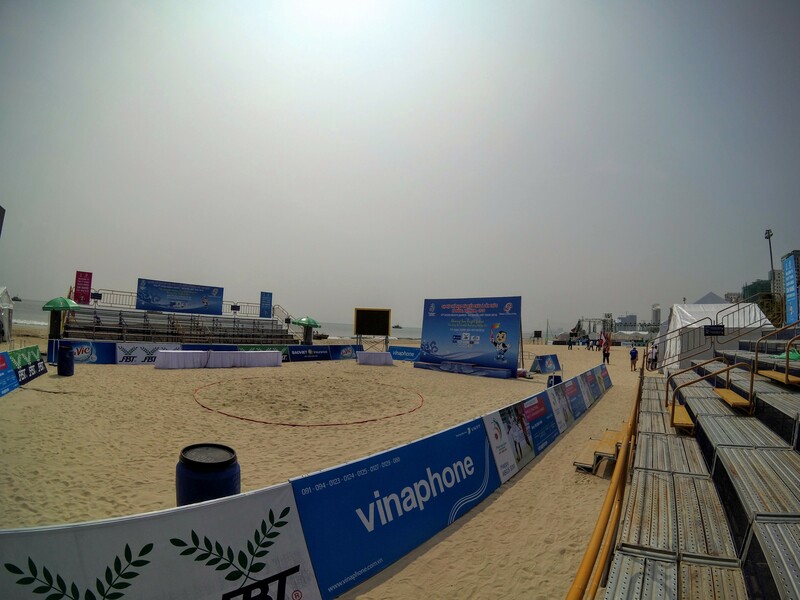 Day 3 was the start of the beach wrestling event for most of the female categories. It was also weigh-in day for both Eddy and Xin in their men's under 60kg and under 70kg weight categories. Both Eddy and Xin were about a kilogram over their intended weight the day before weigh-ins and they told us that they were feeling great. All of us took the shuttle bus to the event venue at 2pm as the medical checkup and weigh-ins for both Eddy and Xin started at 3.30pm. There wasn't much delays and the medical checkups started slightly after 3.30pm. 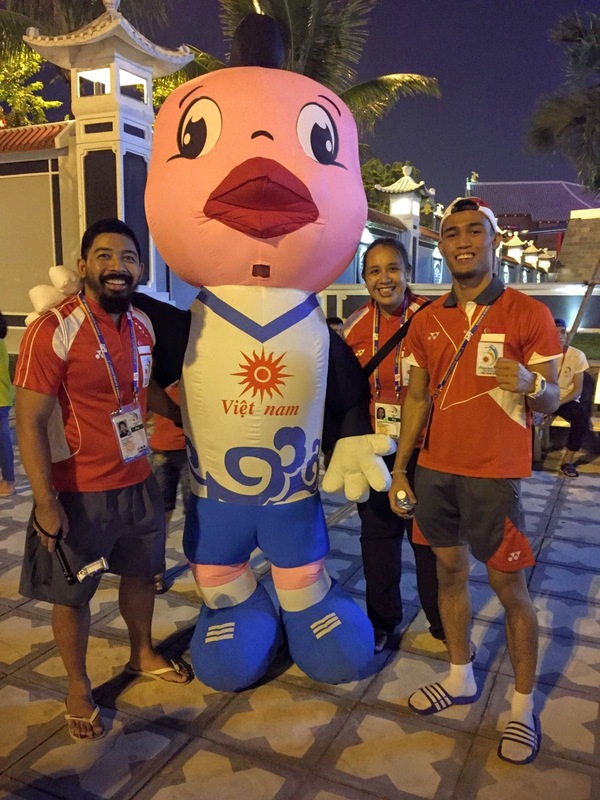 Both of the athletes met their potential opponents and they were unfazed as they know that they have put in the hard work both on and off the mats; even though athletes from powerhouse countries were participating in their categories. Weigh-ins started right after the athletes were checked and cleared by the assigned medical doctor. 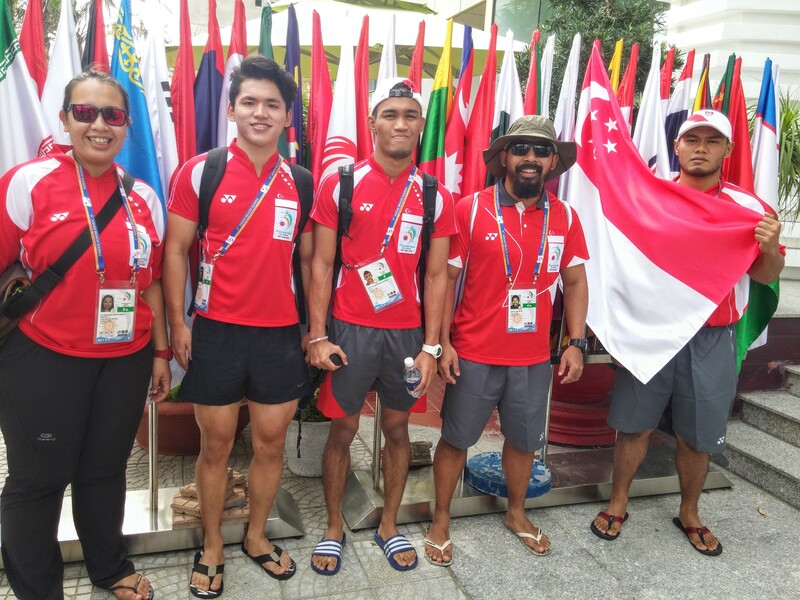 Eddy weighed in first and he weighed in at 58.8kg for his mens under 60kg category and Xin weighed in at 69.5kg for his mens under 70kg weight category. 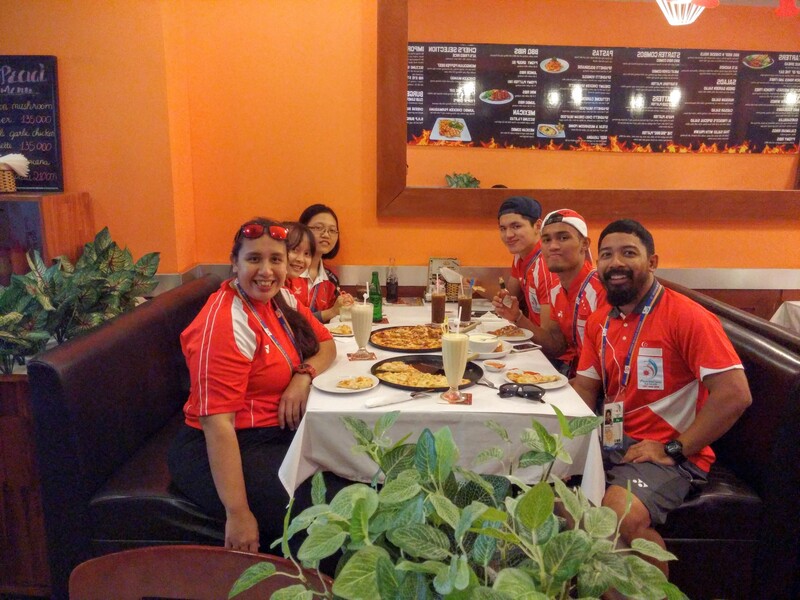 After the weigh-ins, we went over to a pizza place to fulfil their craving of pizzas and pasta. We headed back to the hotel after to let boys rest and prepare themselves for the big match the next day. Day 4 was match day for women's over 70kg, mens under 60kg and under 70kg categories. Both Eddy and Xin had their matches set for the morning's qualifications round. Xin Ran went head to head with Junchul Kim from Korea. While Eddy wrestled against Cambodia’s Champion, Phanit Ene. The opponents were tough and so were they. Although both Xin and Eddy lost to their opponents and did not manage to proceed to the bronze medal bracket, they wrestled hard against tough opponents and they'll head home knowing that they have tried their best and work on improving their game with their coaches back home. After all of the qualifying matches were completed, it was time for medical checkup and weigh-ins for the last two events; the mens under 80kg and under 90kg category. It has been tough weigh cut especially for Hidayat as he had to cut about 12kg to make the category. All of us are glad that he had successfully weighed-in at 89.8kg and we provided him with the required liquids and salts for his fluid replacement. 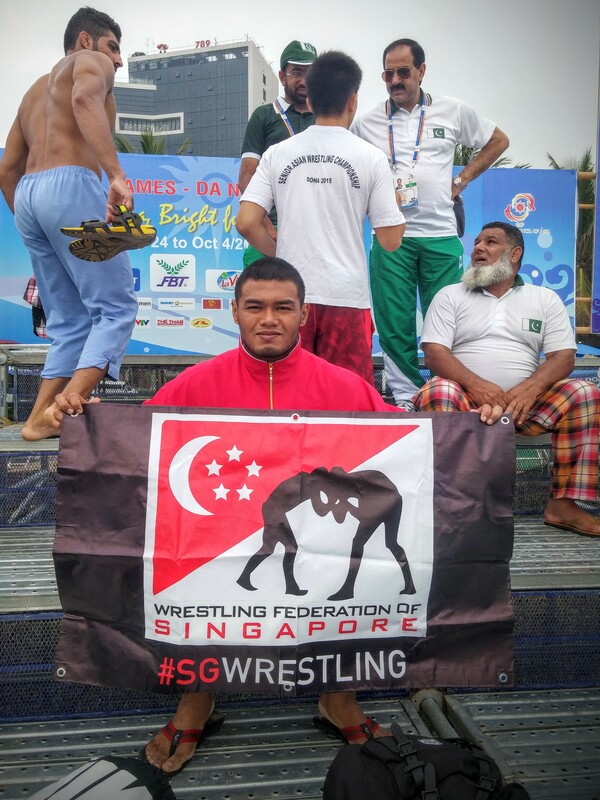 On the final day of the competition, was Hidayat’s turn to wrestle. 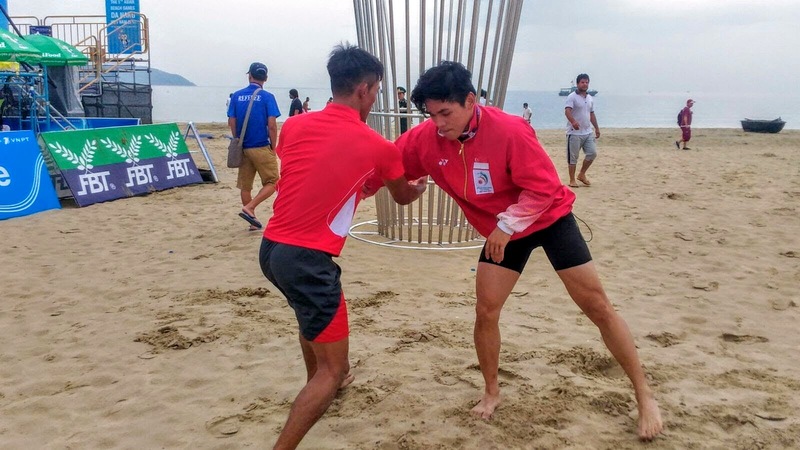 We got to beach early to do some warmup drills with Hidayat before his uphill battle against his western and central asian opponents. Hidayat was matched up against Yusup Melejayev from Turkmenistan in the first match, Muhammad Inam from Pakistan in the 10th match, Ameer Islam from Jordan in the 18th match and Naozat Saleh from Syria in the 24th match; in his qualifying rounds. 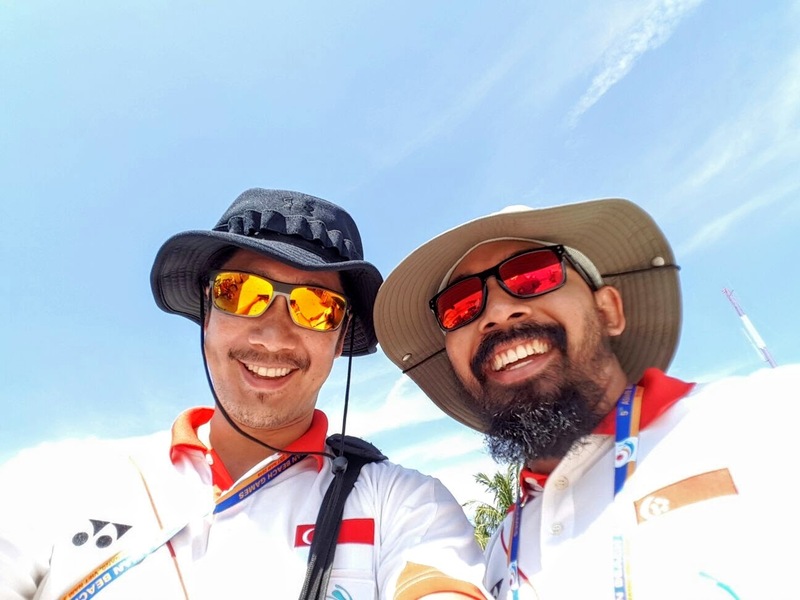 It was a tough battle for Hidayat as his opponents were more experienced and had better techniques but nonetheless he showed his fighting spirit against them. 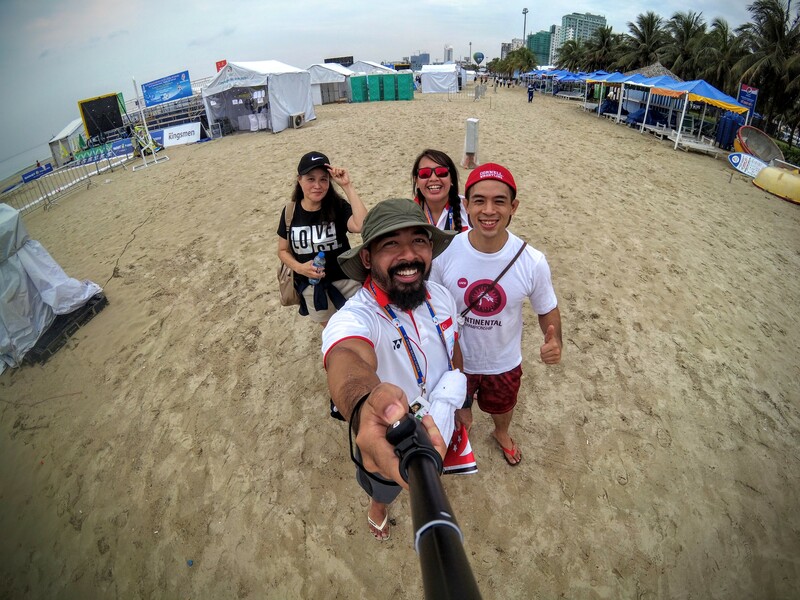 We did not manage to attend the closing ceremony of the Asian Beach Games as our flight home was in the afternoon. 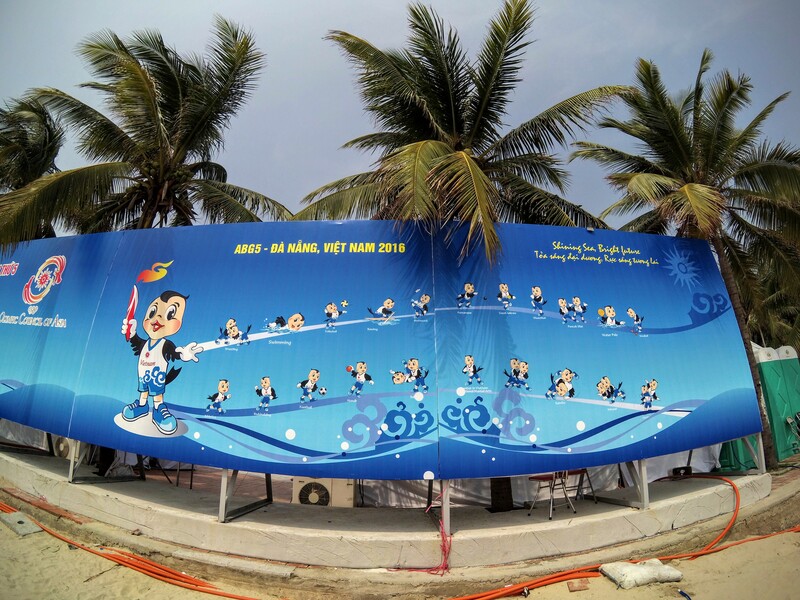 We immensely enjoyed our stay in Da Nang and the competition was organised well. Although we lost and did not bring home a medal, the boys had a good experience competing in their first games, forged new friendships and brought home a valuable experience. 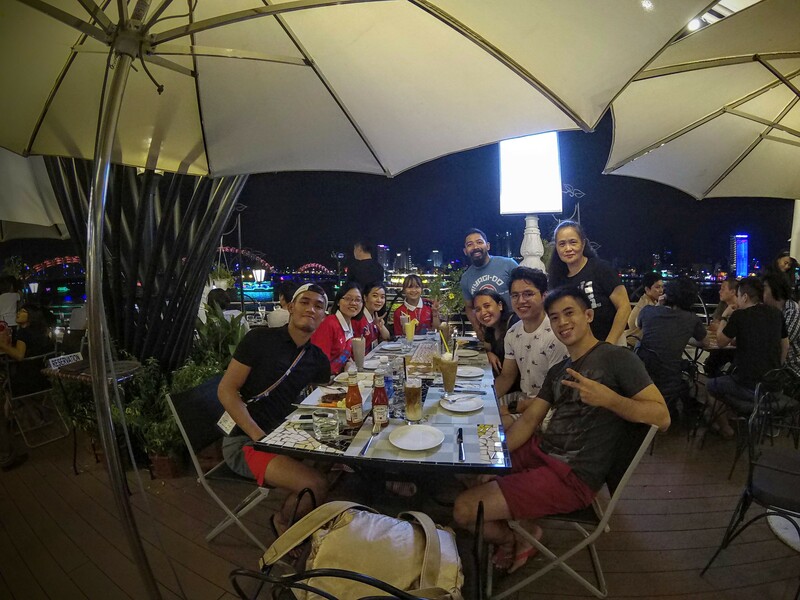 It was also a great learning experience for us being team managers for the first time. 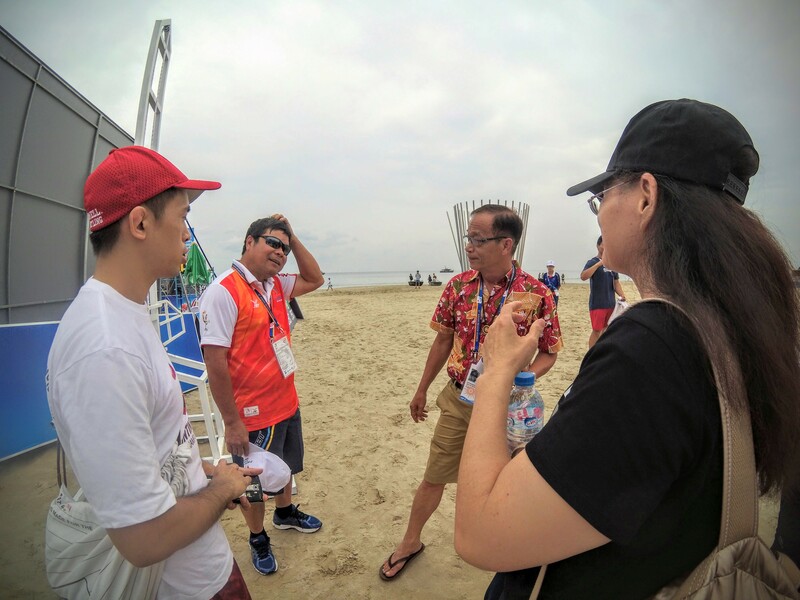 We would like to thank Mr. Clifford Wong, Ms. Goh Wan Xiu and team for providing us with support throughout the duration of the games. Also, not forgetting our Liaison Officers, Amanda and Vi from Danang.